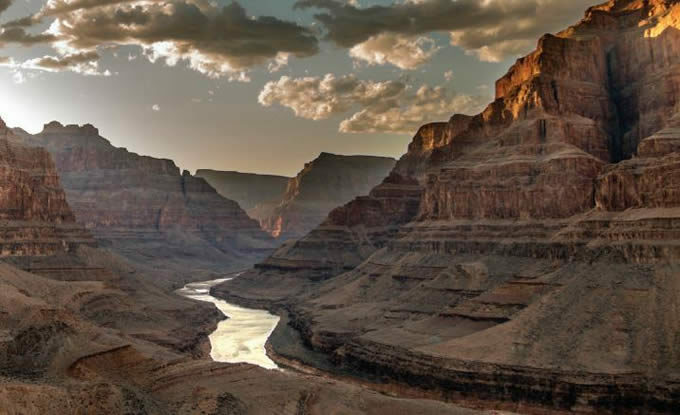 The majestic Colorado River cuts a 1,450-mile path through the American West before drying up well short of its natural finish line at the Gulf of California. Reservoirs once filled to the brim from the river and its tributaries are at historic lows due to an unprecedented drought and growing human demands. Diminished stream flows now pose serious challenges for wildlife and recreation, as well as cities, farms, and others who rely upon the river. 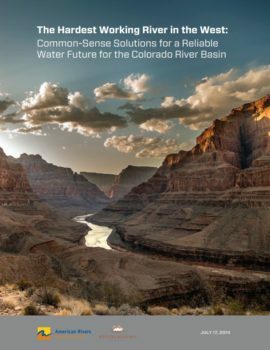 Steps currently being taken to improve the situation are not up to the task of bringing the river system back into balance and providing a reliable water supply for all the communities who depend upon the Colorado River. Fortunately, we have five feasible, affordable, common-sense solutions that can be implemented now to protect the flow of the river, ensure greater economic vitality, and secure water resources for millions of Americans. Federal, state and local officials can help make most these changes today, and start reaping many benefits within a year or two. A few solutions will require longer-term collaboration among governments and users, sometimes a rarity in today’s national political and economic climates. Yet, Colorado River basin states and the U.S. Bureau of Reclamation have a solid record of increased cooperation over the last two decades. What’s more, many basin states are already taking steps to update their state water plans with innovative, creative ideas for improving water management. The common-sense and money-saving approaches outlined here are the best path forward. We’ve already seen strong progress; dozens of successful programs have already been implemented. From citywide conservation efforts to innovative rainwater capture, to successful and mutually beneficial agricultural solutions, we know these work. What’s more, we know they are the most efficient, cost-effective, widely available steps we can take right now to solve our supply/demand gap on the Colorado River without doing any harm, while continuing to grow our western economy.